No dial, no risk: The testo 760-1 digital multimeter gives you easier and more reliable measurement of all important electrical parameters than ever before. Assignment of the measuring sockets enables automatic detection of measurement parameters. You don't need to make any adjustments – and you can't make any mistakes. 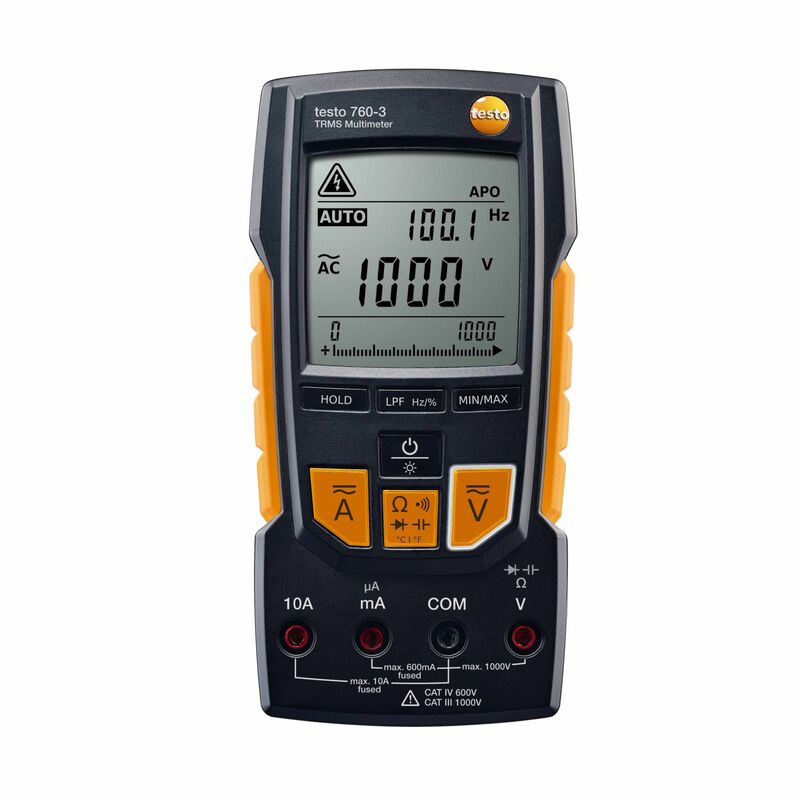 The testo 760-3 is the most high-performance model in Testo's digital multimeter family. In addition to automatic detection of measurement parameters, it is characterized by a voltage measuring range of up to 1,000 V along with large measuring ranges for frequency and capacitance. The digital multimeter is therefore also suitable for industrial applications. The testo 760-2 digital multimeter is the allrounder for all important electrical measuring tasks. Thanks to the automatic detection of measurement parameters, it offers the greatest possible reliability for every application. You can also measure current in the µA range and determine the true root mean square using this digital multimeter. Non-contact measurement on tightly packed cables is really easy and reliable with the testo 770-3 clamp meter. Its innovative grab mechanism will make your work easy. The most powerful model in the clamp meter series, it offers lots of additional functions for those challenging tasks that you are faced with on a daily basis, e.g. communication with the smartphone app via Bluetooth. The testo 770-1 clamp meter is ideally suited for non-contact current measurement on tightly packed power cables or conductors with a small diameter. The unique grab mechanism means you can grab each individual cable easily and safely. 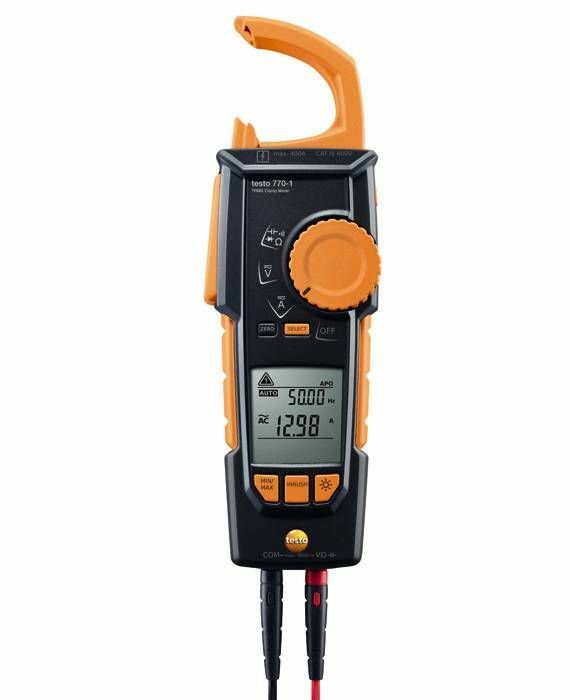 The innovative grab mechanism makes the testo 770-2 the perfect clamp meter for non-contact measurements on tightly packed cables with a small diameter. In addition to the standard functions of the testo 770-1 clamp meter, it also offers a temperature adapter and measures current in the µA range.